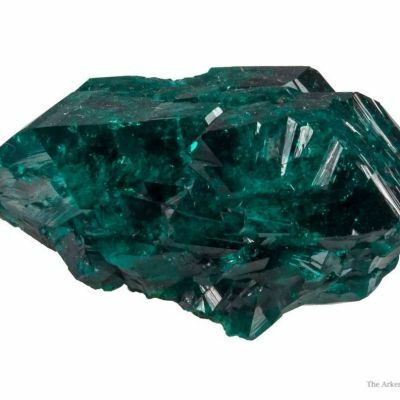 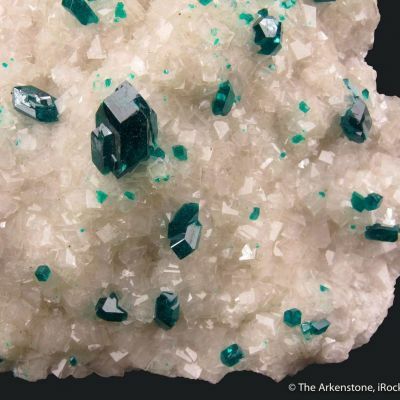 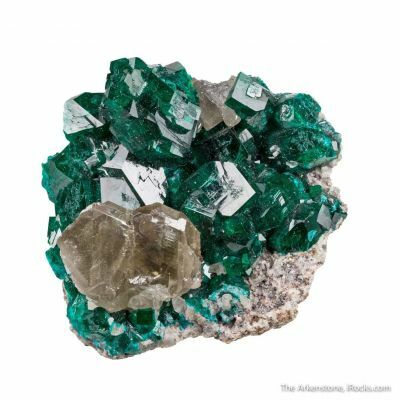 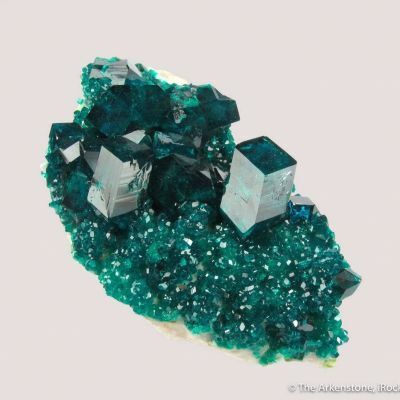 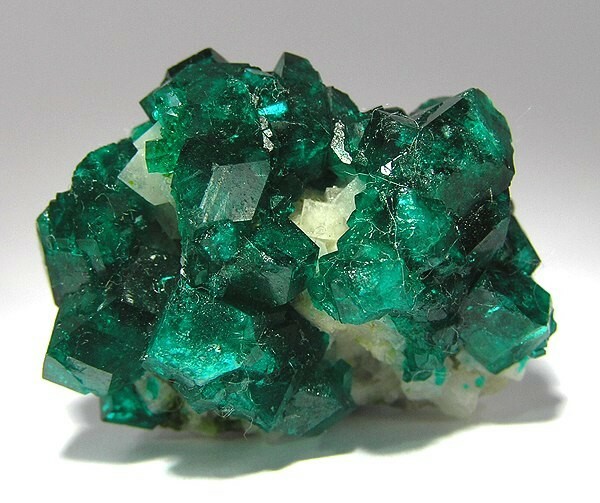 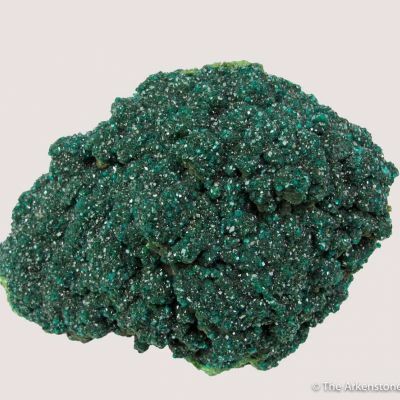 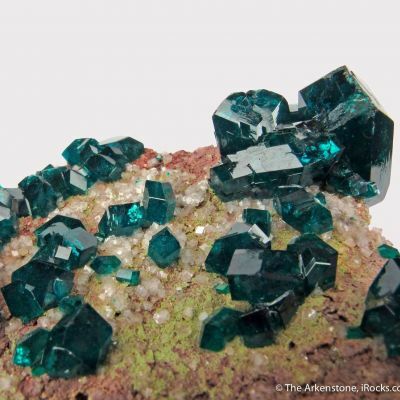 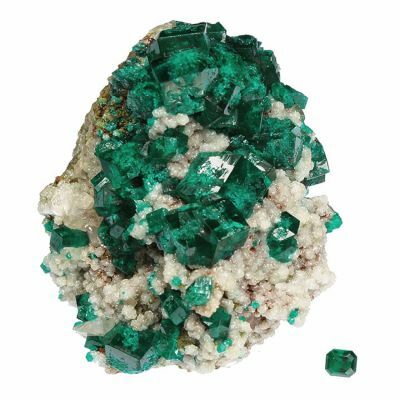 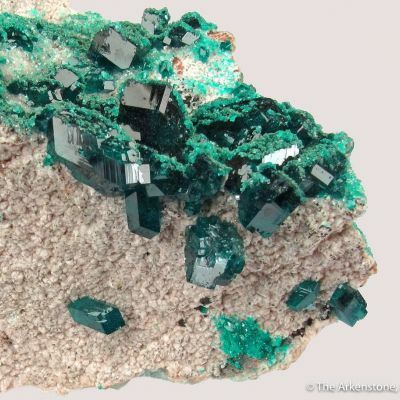 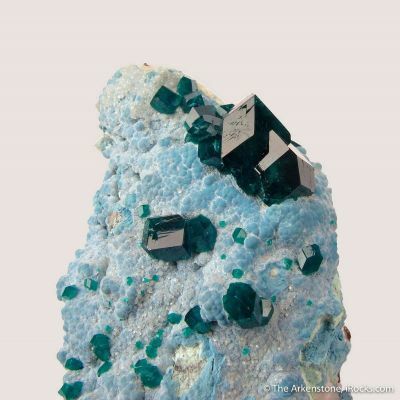 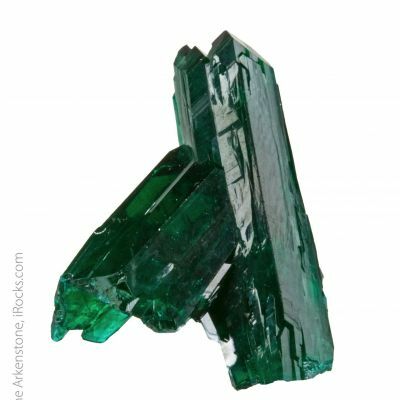 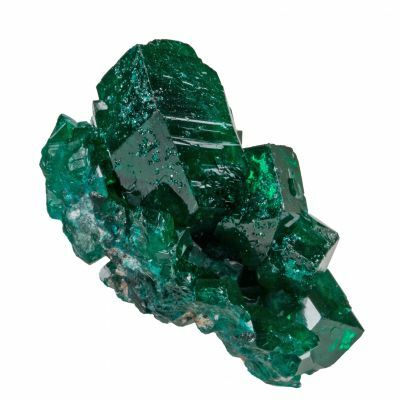 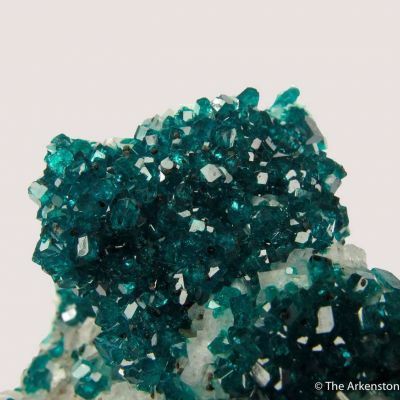 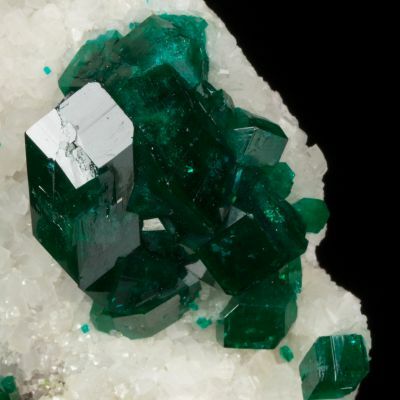 A beautiful mini of bright, lustrous green dioptase specimens on contrasting white calcite, from perhaps the most famous mineral locality in the world (and dioptase probably qualifies as its star collector mineral). 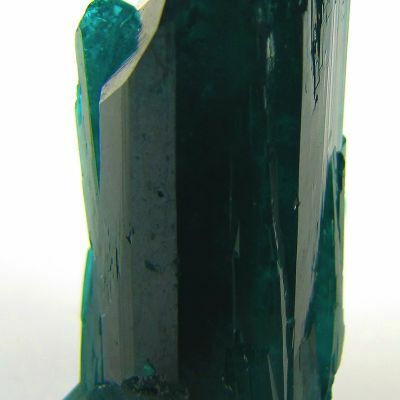 The crystals measure to 0.4 cm. 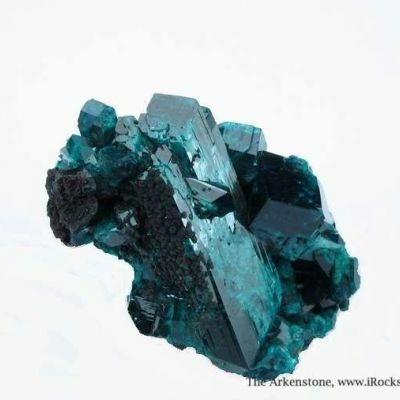 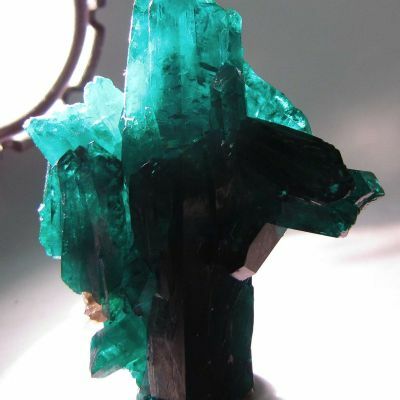 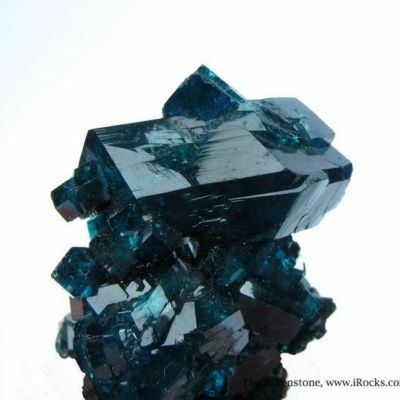 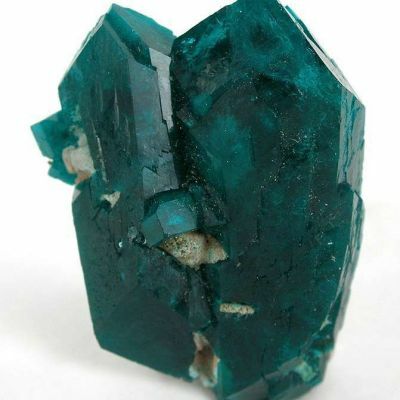 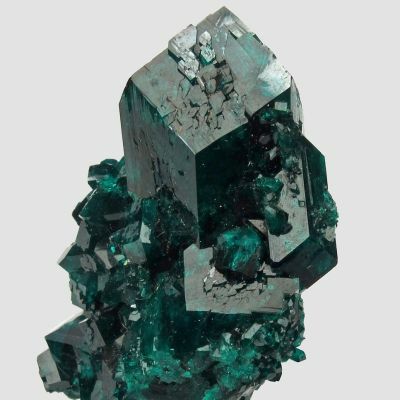 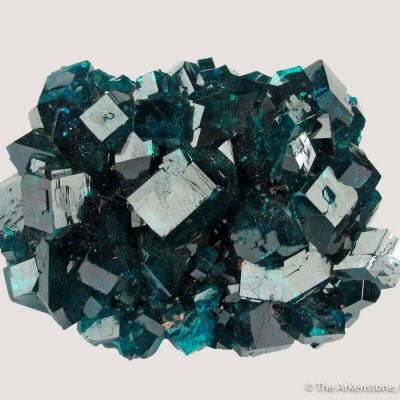 Dioptase specimens where the crystals are on white calcite are the most sought-after, because you get the pleasing contrast.